Eight months after I published a book called The Magic Children, I went on tour with it. By “tour” I mean that a friend who owns a bookstore asked me to join a group of writers for a book fair, and I sat down at a table with several other authors and I sold a few books and I met a woman who had published a book on cottonwood trees. Kathleen Cain grew up in the ancient Pawnee homeland. One day in that realm her father revealed a secret of the cottonwood tree. If you slice open a cottonwood twig at the right place you will find a pretty five-pointed star. This star had surprised her. 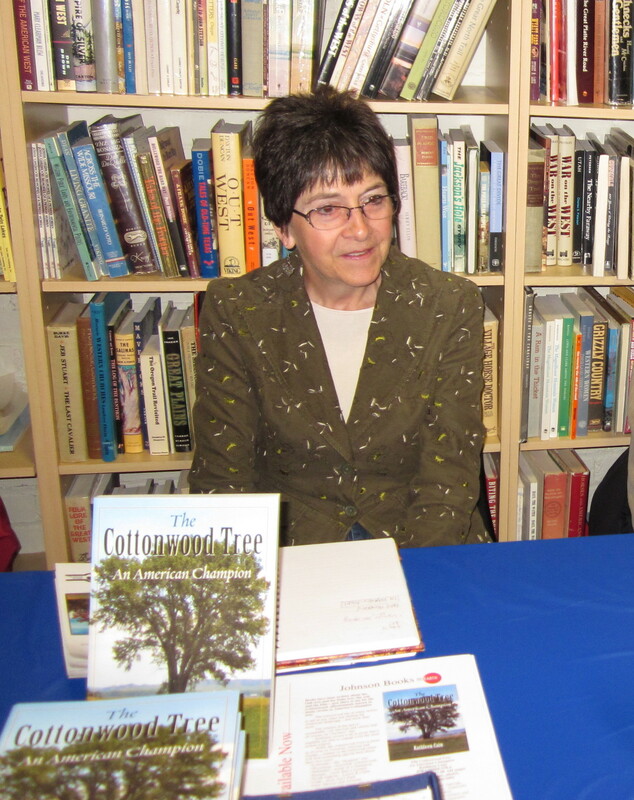 When Kathleen grew up she couldn’t stop thinking about cottonwoods and she wrote a book called The Cottonwood Tree: An American Champion. I guess it wasn’t much of a book tour for me. But Kathleen showed me that star inside the cottonwood and I enjoyed my book tour. I promised I would look for the Pawnee word for cottonwood, and I would write down whatever I found on the topic and I would send it to her. I didn’t know then that I would tell this story. And I for sure didn’t know that it would be such a strange sad frightening story. Once upon a time a man captured a small duck and took it home to show his wife. They kept this little duck in their tipi until the woman told him to let it go, and so he turned it loose. Not long later the woman gave birth. As this baby girl grew up, the parents began to notice that she loved to spend her days swimming in ponds. The mother said to the father, “See, our girl is like that duck you brought home! I guess we should let her do as she chooses – and you’d better not complain about it.” They named her Young Duck. 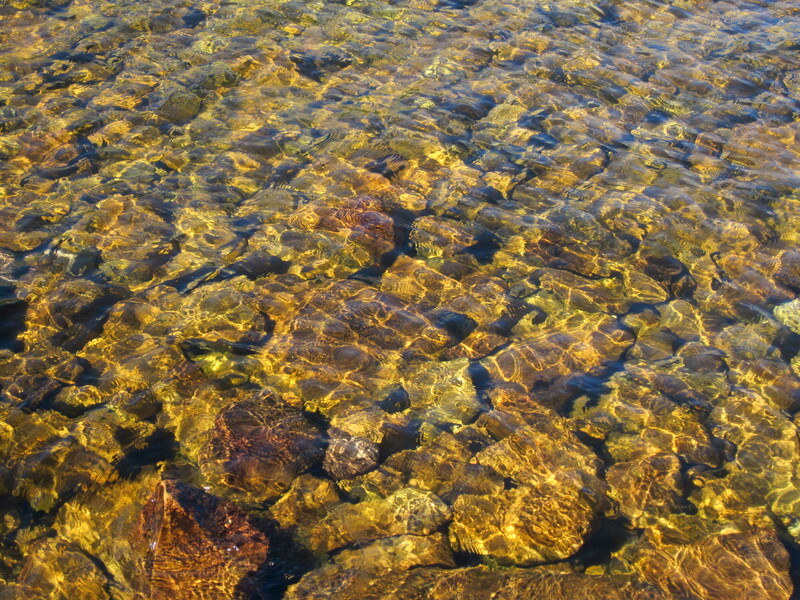 This magic water smelled fragrant, very sweet. The mother washed her daughter’s face each day after that. As the months went by, she noticed how Young Duck slowly grew into a pretty girl. In her dreams Young Duck heard a voice. Following the advice of this voice, Young Duck one day went to the ponds and found a hooked stick. She took this stick with her the next time the other young women went to gather wood. In the forest they came upon a dead cottonwood. Young Duck said, “You girls go on. I’ll stay here while you gather your wood.” After the girls left, Young Duck lifted her stick, “Now pull down that dry limb!” The hook in her hand stretched up and broke off the dead branch from the cottonwood. When the other girls returned, they found Young Duck sitting with her wood pile neatly bound. Each day she accompanied the young women to get wood. And every day her mother would wash her face with water from the magic pool. Pretty Young Duck slowly became very beautiful. 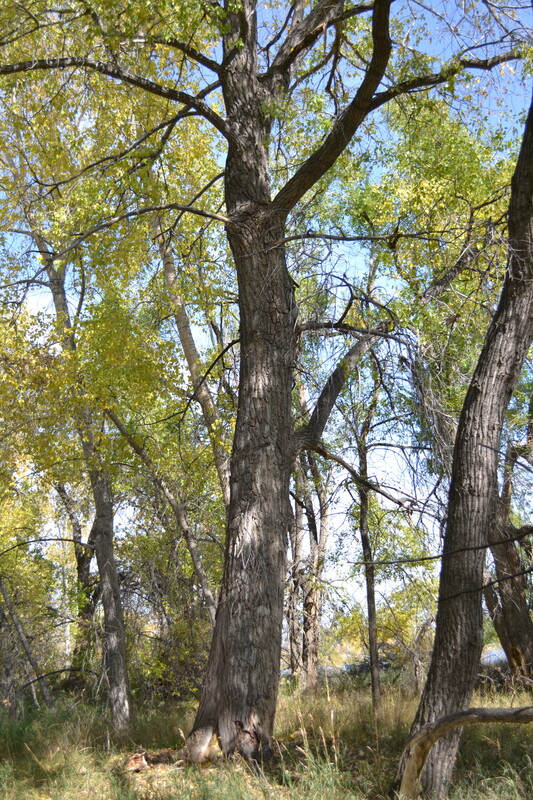 As noted by linguist Douglas Parks, a Skidi term for cottonwood is ráhaaktaakaaru or ráktaakaaru, meaning white wood. This term refers to the fact that under the bark of this tree the flesh of the wood is very pale. Versions of this Pawnee term appear in both the Skidi Pawnee dialect and the South Band Pawnee dialect. The South Band Pawnees had another term for cottonwood: téhtu. 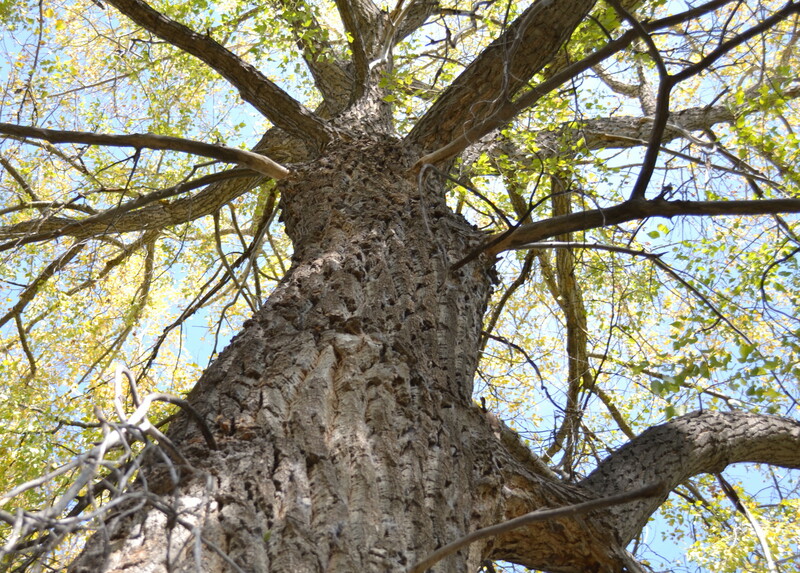 Among all the Pawnees, if a cottonwood tree is small in size, the term for it is pásaki, but a large one is called pásakucu. Resources from this tree once provided firewood, construction material, wood implements, and horse-feed. 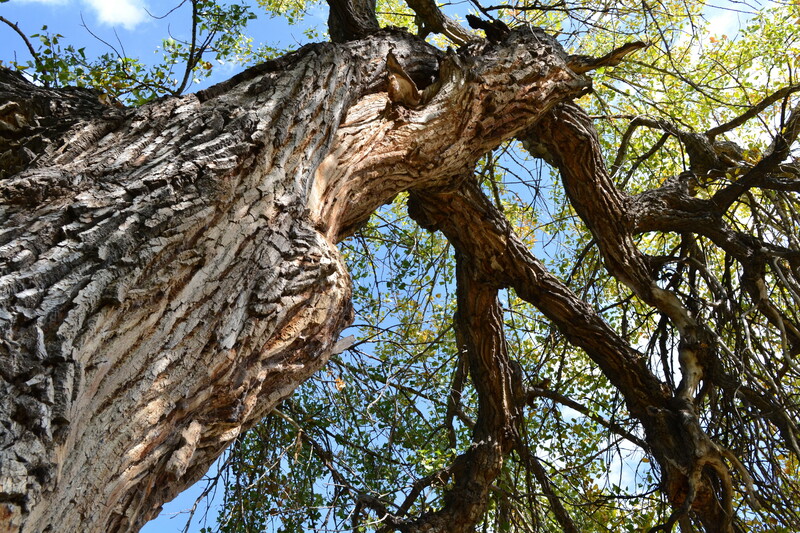 According to Parks, there is a Skidi word for a wooden bowl made from the root of a cottonwood tree: rákaraaraariksisu – the final portion of this term (rariksisu) signifies that the wood bowl is real or authentic. Several Pawnee words refer to the use of cottonwood as feed for horses during winter. The Skidi word asaháktaakaaru literally means horse wood white, and it signifies the use of bark for feed. 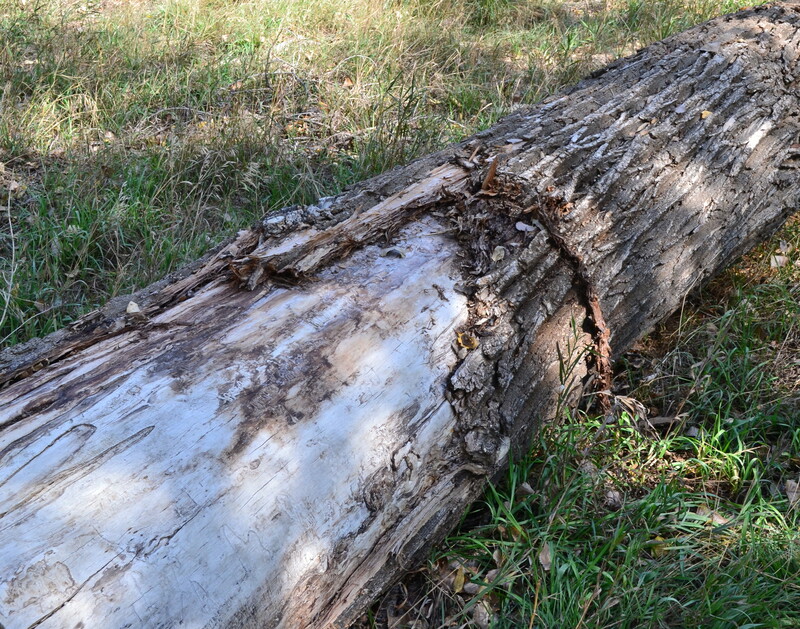 In The Lost Universe Gene Weltfish described the preparation of “cottonwood tops and bark” for horse winter feed – axe-cuts were made to loosen the bark for horses to chew. On cold snowy nights the Pawnees would prepare this feed and set it on a hide for their horses. Bark prepared in this fashion is termed rákataatu or wood dung. The South Band Pawnee terms for white horse wood and wood dung are very similar to Skidi: asaahaáktakaaru and rakataatu. Everyone thought Young Duck looked very beautiful. Young men found her quite fascinating. One young gambler set up his hoop & stick playing field near Young Duck’s tipi. Others demonstrated their mastery of the arts of archery. A number of hopeful suitors took out their flutes in the late evening and competed for her admiration. This hawk took note of Young Duck’s extraordinary beauty. He flew to a holy place; a hidden underground house of spirit-animals. Humbling himself, he appealed to them for help and they performed their magic upon him and he became a young man. Young Duck knew him when he called upon her. She fell in love with Hawk, and he fell in love with her, and she told her parents, “I will marry this young man, Hawk.” So Hawk moved in with her and her parents. Young Duck continued to sit upon her pool of water. Her mother washed her face and her hair with the enchanted water. And Young Duck would then wash her husband’s face and his hair. They became a beautiful, happy couple. And every day Young Duck gathered wood with her girlfriends. She used her magic stick to take down branches from tall cottonwoods in the forest. Hawk stood guard nearby upon a high hill, watching over the young women as they worked. In this Skidi Pawnee tale, told by a woman named Bright Eyes over a century ago to James R. Murie, there is an association that seems random. A woman who has the nature of a water bird performs magic upon cottonwood trees. 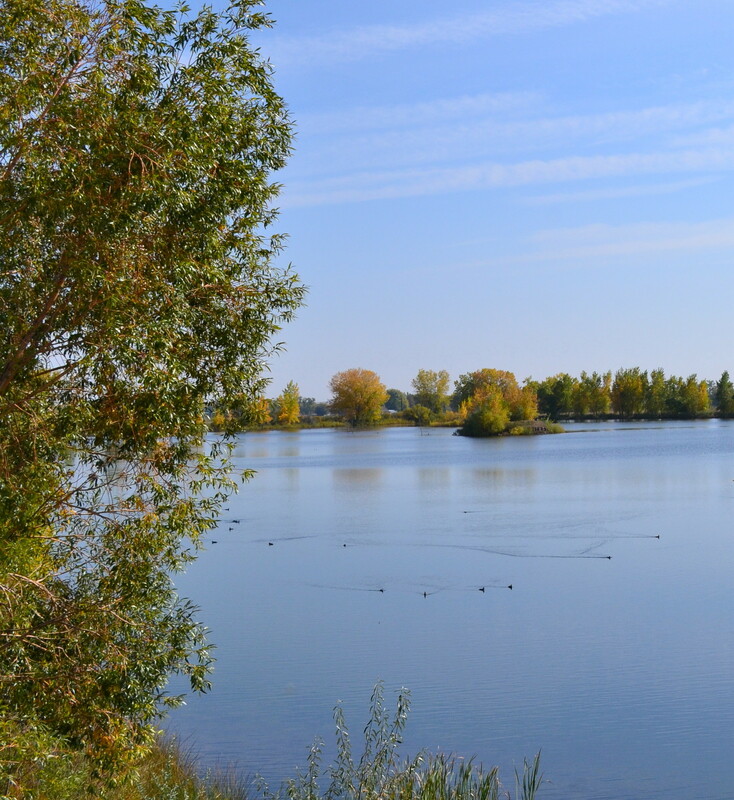 The Pawnees knew that cottonwood trees prefer to live along ponds and waterways. 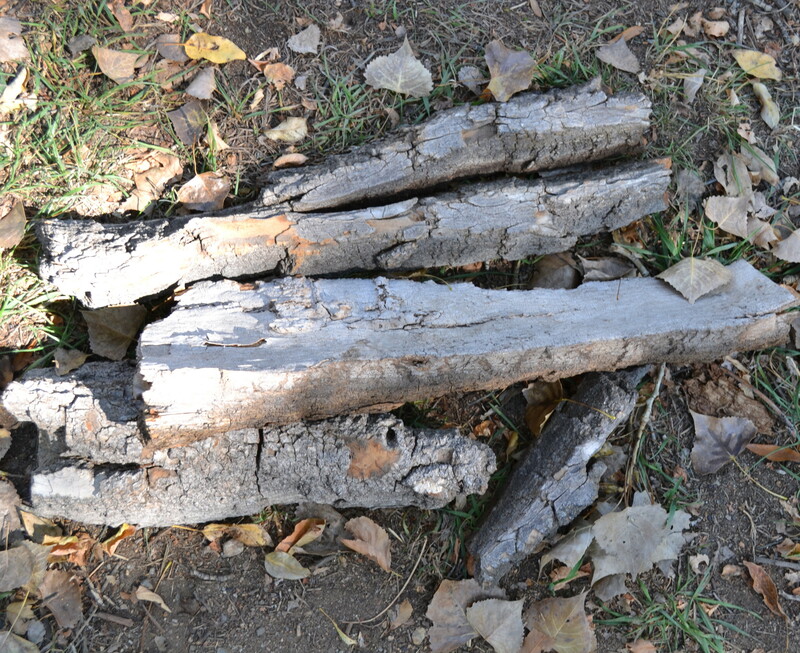 Anthropologist Gene Weltfish described how the Skidi doctors once used cottonwood tree-trunks in constructing the ritual spaces for the annual autumn Doctor Dance, and in so doing, “The cottonwood symbolized the Beaver and the waters of the earth.” James R. Murie told another researcher that cottonwood boards were used to make Pawnee cradleboards, and the associated symbolism referred to star deities and to sweet cleansing rainwater. This does not mean that a simple equation can be drawn between cottonwoods and riparian symbolism. Cottonwood trees once had many uses in the Pawnee world. But cottonwood sticks were also significant in the traditional rituals and religious ideology of the Skidi. These sticks had ceremonial use in building the altar for the Skidi Morning Star ceremony (along with box elder, willow, and elm). As Gene Weltfish makes clear, these four kinds of sticks in the Morning Star ceremony signified the four quarters of the earth, the semicardinal directions. These same branches held some unknown significance in another story told to James Murie by Woman Newly Made Chief, daughter of a Skidi doctor. In her story two twins of ancient legend used this same set of sticks to cremate their dead father, who they had slain. This tradition told of frightful events, and no one knows what the twins intended when they brought forth wood signifying the four quarters of the world and used it to cremate their dead father. Stories can sometimes touch on our fears. And sometimes our fears are mysterious and we do not understand them. And sometimes very fearful and mysterious things happen in our lives; and sometimes those things enter the stories we tell. One day when Young Duck got home with the limbs she had gathered from the cottonwoods, she noticed a strange old woman in the tipi. This old woman watched as Young Duck’s mother washed her face and as Young Duck washed the face of her handsome husband, Hawk. This old lady was a sorceress. She envied Young Duck. “I wish I could be Young Duck,” whispered the sorceress. Deciding that she had to have what Young Duck had, she made a plan. In the nearby forest this sorceress found a dogwood stick, and she sharpened it and she hid it in her clothes. When Young Duck appeared with her friends, the sorceress watched from a thicket as the other girls went on their way to gather wood. She watched as Young Duck brought forth her magic stick. After Young Duck gathered a bundle and tied it neatly, the sorceress stepped forth. “Hello, dearie,” cackled the old woman. “You are so beautiful and good; I will sit with you.” A moment later she took out her hidden dogwood stick and she swiftly jabbed it in Young Duck’s ear! When the sorceress decided Young Duck was dead, she blew into Young Duck’s mouth. Young Duck’s skin came off, but only from her waist up. The old woman crawled into the empty skin. When she stood, she looked like Young Duck. She rolled the real Young Duck into the stream that ran beside the old cottonwood tree and the body floated away. Now the sorceress yelled rudely for the other girls. The young women all noticed how wild Young Duck’s eyes seemed. And back at Young Duck’s tipi, the sorceress threw down her bundle of sticks and announced in a crotchety tone, “Mother, I’m tired and hungry!” She ate heartily – even eating her husband’s food. She lay down naked with Hawk. She cackled, demanding he give her a good time. She kept talking loudly, making vulgar remarks as if to distract him as he tried to pleasure her. But Hawk noticed something very disturbing. Young Duck’s legs were no longer smooth and pretty. In fact, from the waist down, beautiful Young Duck had somehow become… well, very old and thin and decrepit. The next day the sorceress accompanied the young women to get firewood. She talked loudly and she had a mean tone that had never before appeared in Young Duck’s gentle voice. When they came to the first cottonwood, the sorceress sent on the other girls, just as Young Duck always did. The sorceress took out Young Duck’s magic hooked stick. “Okay! Come now and stretch!” But nothing happened. “Hook that cottonwood limb,” she demanded. But no, nothing happened. She had to settle for cutting a few green willows. Back at the tipi the sorceress threw down her rather sparse bundle of green wood and she complained to Young Duck’s mother, “I’m tired and I have a terrible headache. I’m going to take it easy on my pool of magic water.” But when she stepped over to the pool of water, she found it had dried up. And the next day everyone noticed an odor. The stolen skin was rotting. The family sent for doctors. But none could help. The sorceress kept them at bay because she needed to protect her horrible secret. Hawk had strong suspicions. He thought of someone who could help. When Hawk returned with this man, they both saw that Young Duck’s skin had a bruised look. The man’s face was painted black. He held a black gourd. Hawk heard a far-off voice. He didn’t linger to see what happened to the old sorceress. A pretty song echoed in Hawk’s mind. “Here now stands Young Duck!” He came to a stream and listened. Where was the singing? The song made his heart ache for Young Duck. He would find her! He turned himself into a hawk and he flew up and down the stream. For days he sought the voice. He grew weary and hungry, but still he searched. On the evening of the fourth day he paused upon a hilltop. There was smoke in the valley below. There stood a tipi. Landing, he became a young man again. He stepped inside. There sat a man, a woman, and four young girls. “I thought I heard my wife singing,” he said to them. “Is Young Duck here?” They said no. There is no Young Duck here. But he knew… he asked again. And again. Finally, the youngest girl pointed to a heap of things just beyond the firelight. There Hawk saw two legs sticking out. He recognized those pretty legs. Young Duck! He reached for her. “No, husband,” spoke Young Duck. “Do not uncover me! For I am not the same pretty girl you married!” But he uncovered her anyway. His beautiful wife had the upper body of an old woman. “Dear husband,” cried Young Duck, “I will never go back to what I was. I will never be your beautiful wife ever again!” And she wept. The family stood watching. They were crying, too. They loved Young Duck. They were her duck family. She had floated down the stream and they had rescued her and they loved her no matter what she looked like. After a long night together Hawk at last understood the truth. Young Duck was miserable. She was old and thin and very frail. Her skin hurt her. The pain was terrible; her suffering was awful. He had to let her go. Hawk spread his wings and he leaped into the sky. High above the earth, Hawk turned one last time, “I love you, Young Duck!” And he let go of her. He watched her fall. Far below, Young Duck fell into a stream. When Hawk flew down to the water’s edge, he found her there. She had become a clam. Her shell looked like old skin. But inside the shell, the clam was smooth and young. 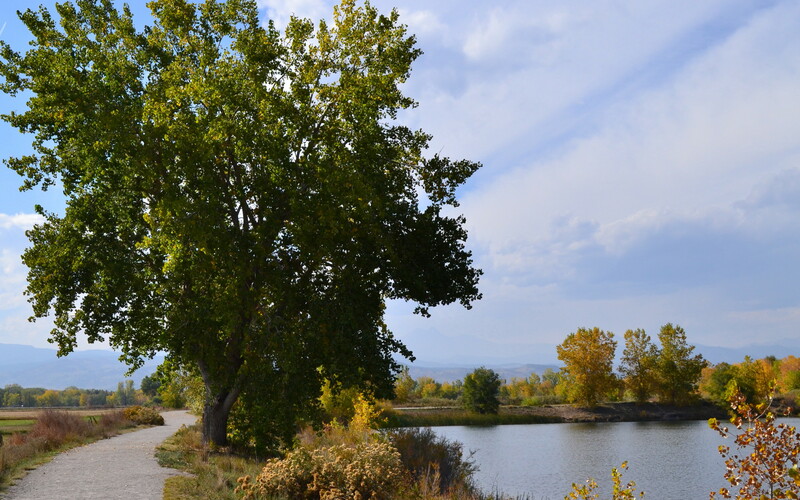 When you find yourself standing beside a stream, there might be a cottonwood tree nearby. The bark will look rough and grey and wrinkled, as if very old. 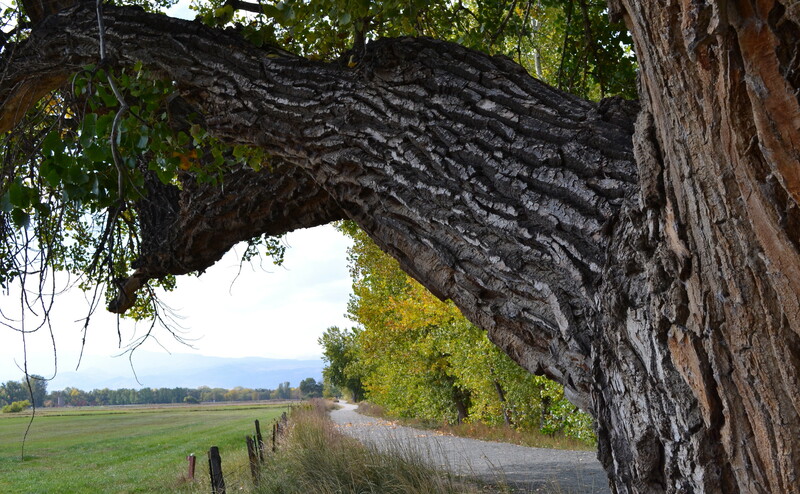 But underneath this old bark the pale flesh of the cottonwood is forever young. And standing there, if you happen to notice a hawk flying above… and if you peer into the stream at your feet… perhaps you will see what that hawk sees. Young Duck will look old. But somewhere inside her shell she will always be young and beautiful.